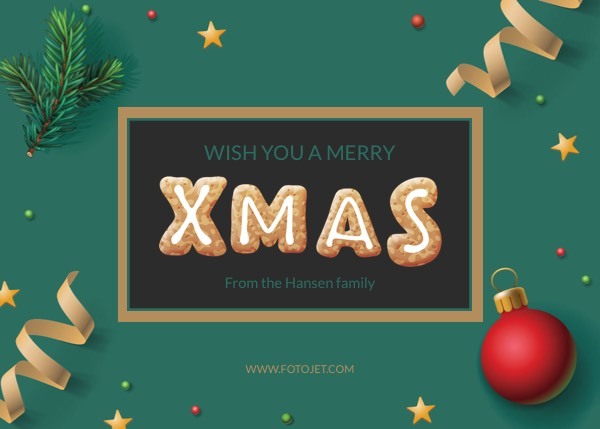 Making Christmas greeting cards to deliver your sincere wishes is easy yet wonderful way with the stunning FotoJet-made Christmas card templates. This well-designed template can help you make printable Christmas cards online easily. Its eye-catching design will definitely stand out and give your loved ones the holiday cheer. Play around with our wide range of font styles, add your own wishes and make other changes to the template!